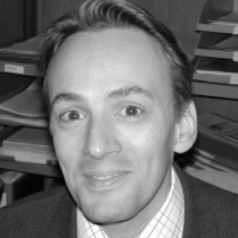 Nick Raine-Fenning works as a Consultant Gynaecologist and Reader / Associate Professor of Reproductive Medicine and Surgery at the Queen's Medical Centre in Nottingham, UK. Clinically he manages women with benign gynaecological pathology and subfertility including patient requiring IVF treatment. Nick is also the Medical Director of Nurture Fertility, part of The Fertility Partnership, the largest providers of IVF in the UK and the most successful clinic in the Midlands. Nick is the Director of Research at Nurture Fertility and the research lead for The Fertility Partnership. Nick is an internationally recognised expert in three-dimensional ultrasound and gynaecological imaging and has given over 100 invited talks, plenary sessions and workshops. He was awarded a PhD in 2004 for work relating to the quantification of pelvic blood flow and has published over 80 peer-reviewed papers and written more than 20 review articles, opinions and editorials. He has served on the Editorial Board of the leading acoustics journal, Ultrasound in Obstetrics & Gynecology, and was made Deputy Editor-in-Chief in 2001. Nick is a member of the Board of the International Society for Ultrasound in Obstetrics & Gynecology (ISUOG) and Chairs their Clinical Standards Committee and Patient Liaison Group. He is one the Clinician Representatives for the British Fertility Society and is leading their Patient Information Group.